Attica, Athens 440-404 BC AR Tetradrachm obverse Athena, reverse owl, olive spray, and moon graded NGC AU 5x4! 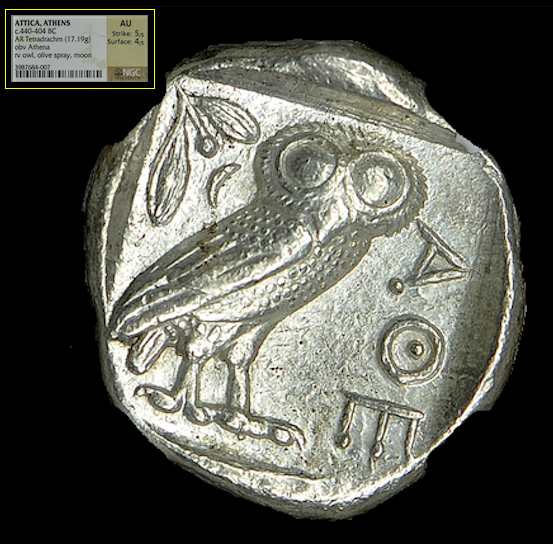 On the right, helmeted head of Athena/ owl and olive spring with crescent behind "AOE" on right. Nice toning and details with an unusually broad flan and a well centered owl! 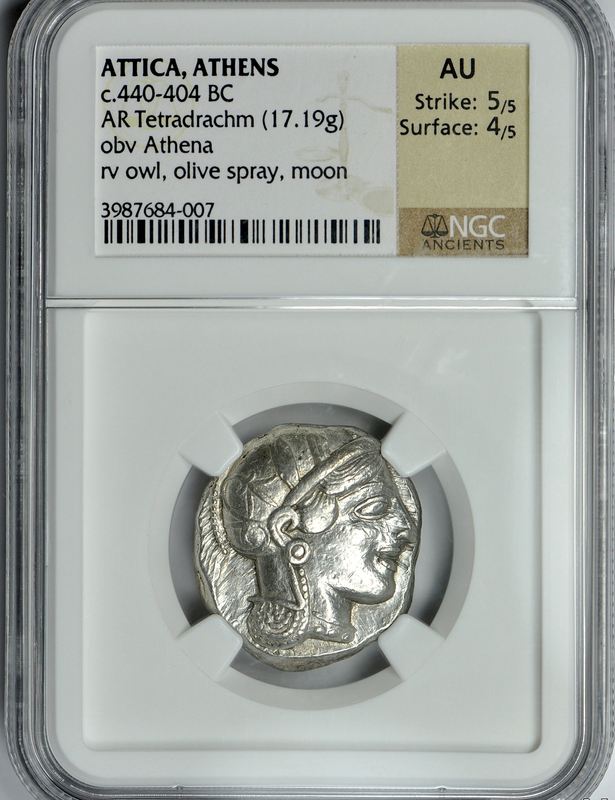 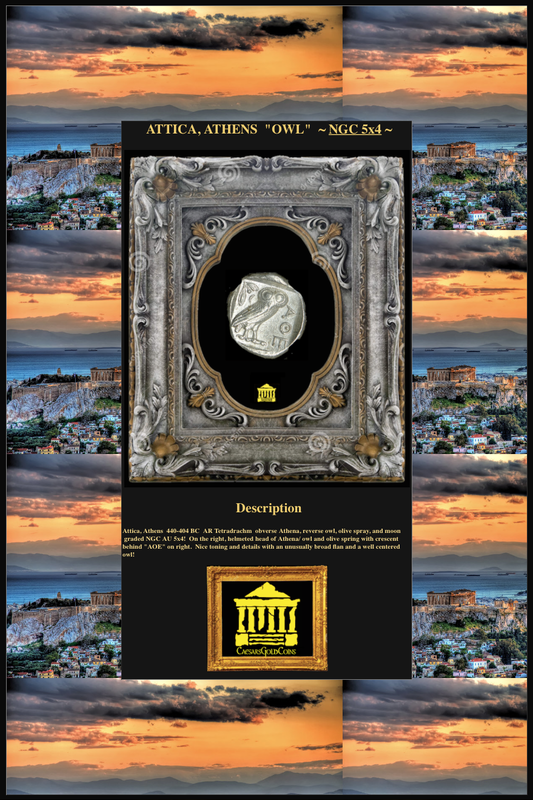 The Athenian tetradrachm coinage struck from c 449 until not later than 404 was one the most immense series of silver coins ever struck. 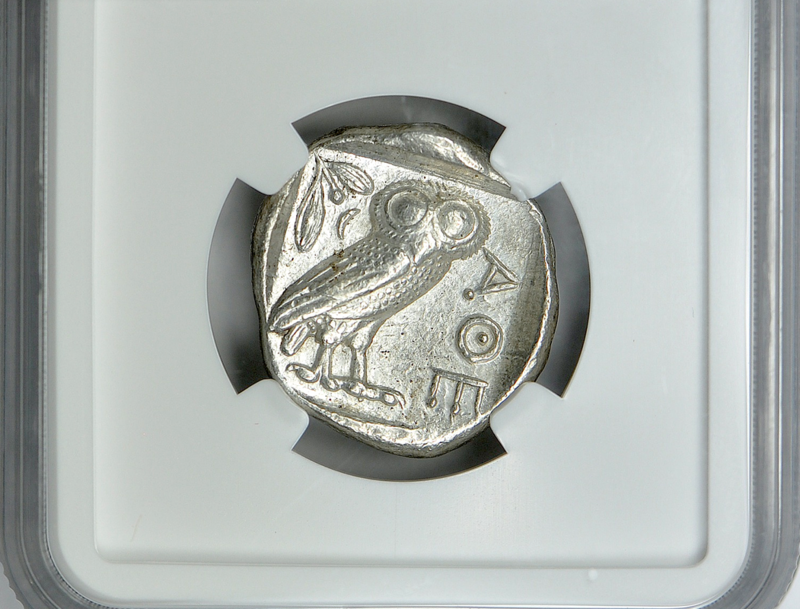 These coins were used all over the Mediterranean area for trade purposes. 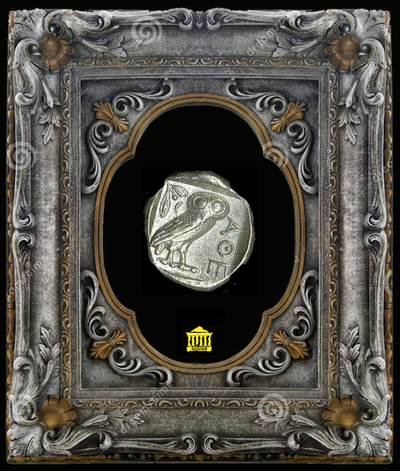 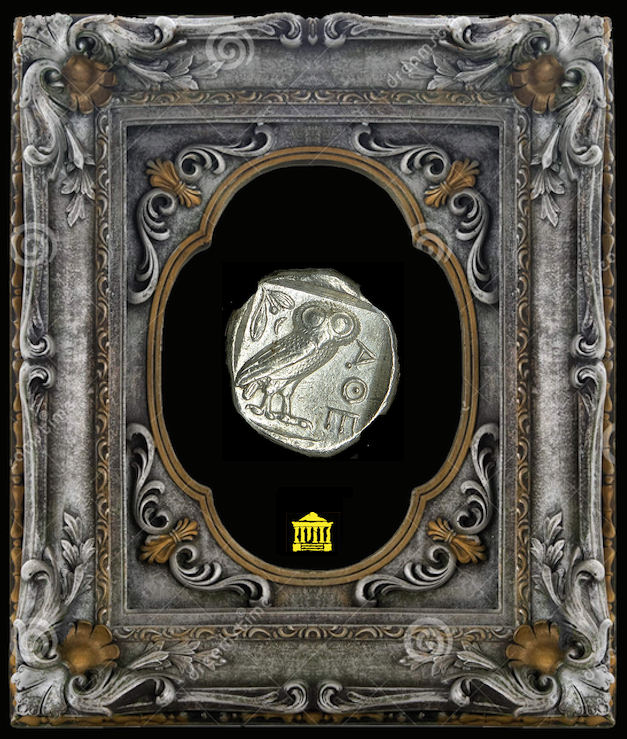 They were produced as a way of using the silver from the rich mines of Laurion and were often later reused as bullion to make local coinages all over the Greek world (sometimes they were melted down and remade, but they often were simply heated and used as flans for new coins).